When used in a targeted way, light can enhance architecture while transforming and showcasing individual spaces. The requirements relating to good lighting design in terms of styling, technology and economics are accordingly highly varied. They are also becoming increasingly demanding, especially with regard to complex construction projects. Standard products are therefore often no longer sufficient for planners, many of whom are looking for individual special solutions. ERCO, the specialist for architectural lighting with LED technology based in Lüdenscheid, Germany, has a wide-ranging portfolio with almost 10,000 different series products. 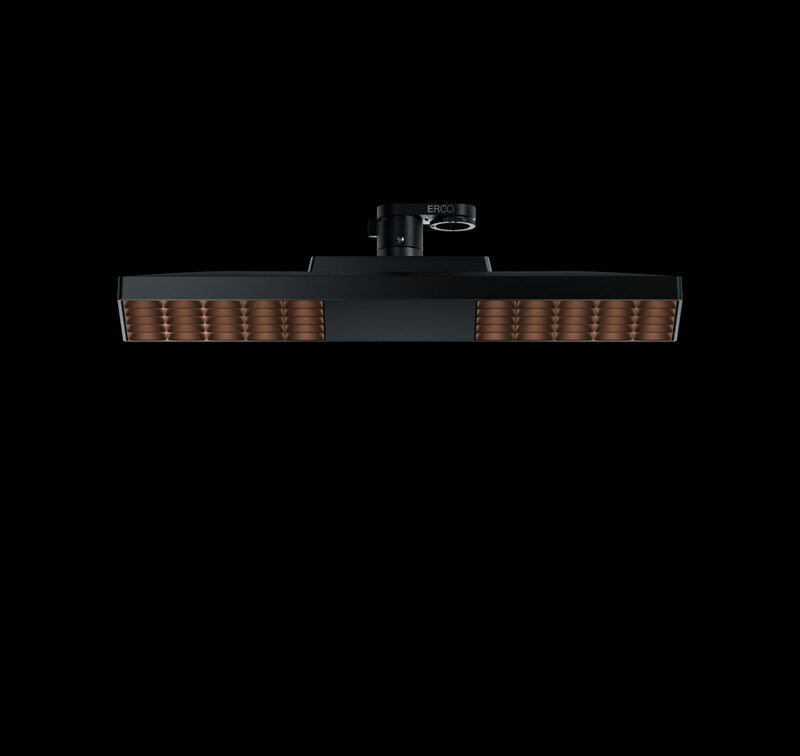 In addition, with its ERCO individual service the company offers its customers the possibility of individualising series products, which supports the development of sophisticated special lighting. The reason for this is that a tailor-made lighting solution is often required in order to implement an architectural concept down to the very last detail. 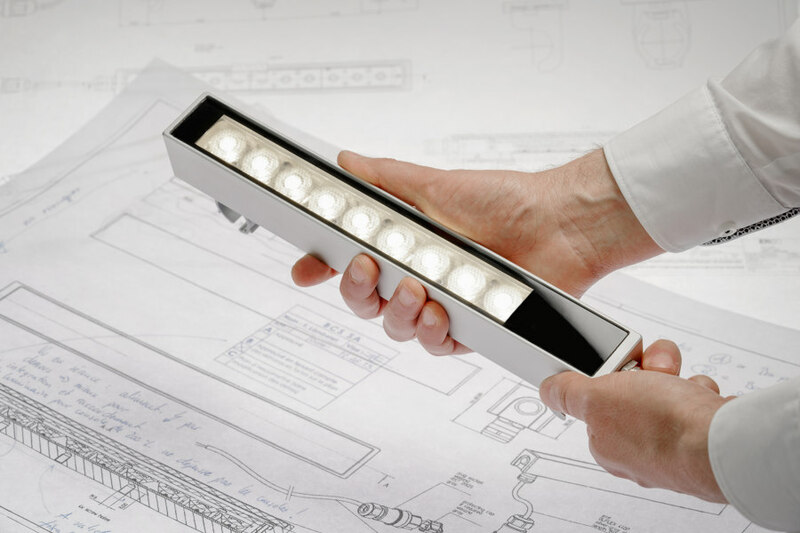 ERCO can look back on many years of experience in the architectural lighting field. Thanks to modern production technologies and specialist personnel from various fields, the manufacturer has for decades been producing all kinds of customised solutions in close cooperation with architects and lighting planners. 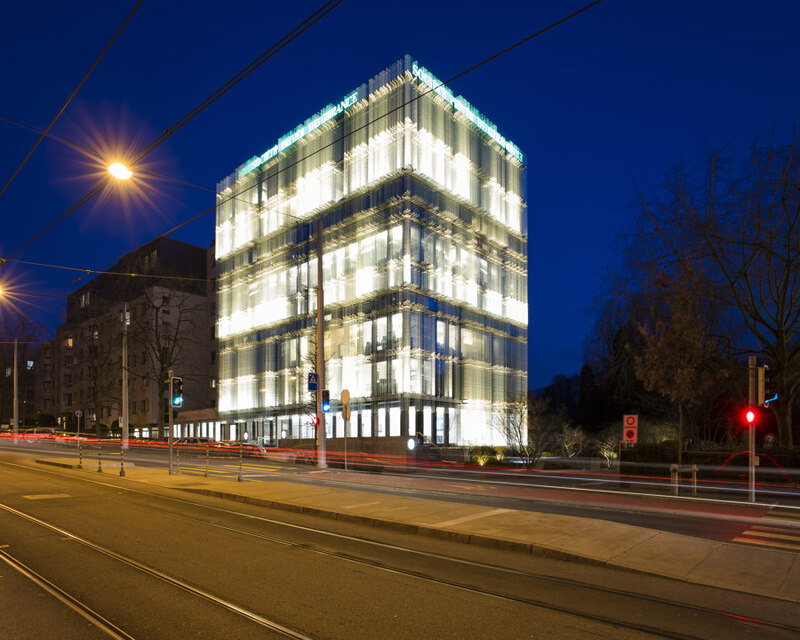 One example is the façade lighting for the head office of the Swiss real estate company SPG in Geneva. In the course of renovation work, the building was given a new façade made of printed glass slats. At night these are illuminated by specially developed ERCO LED façade lighting, which gives the impression that the contours of the building are dissolving. In order to create this special blurring effect, the lighting had to be installed invisibly in the narrow gaps between the slats. 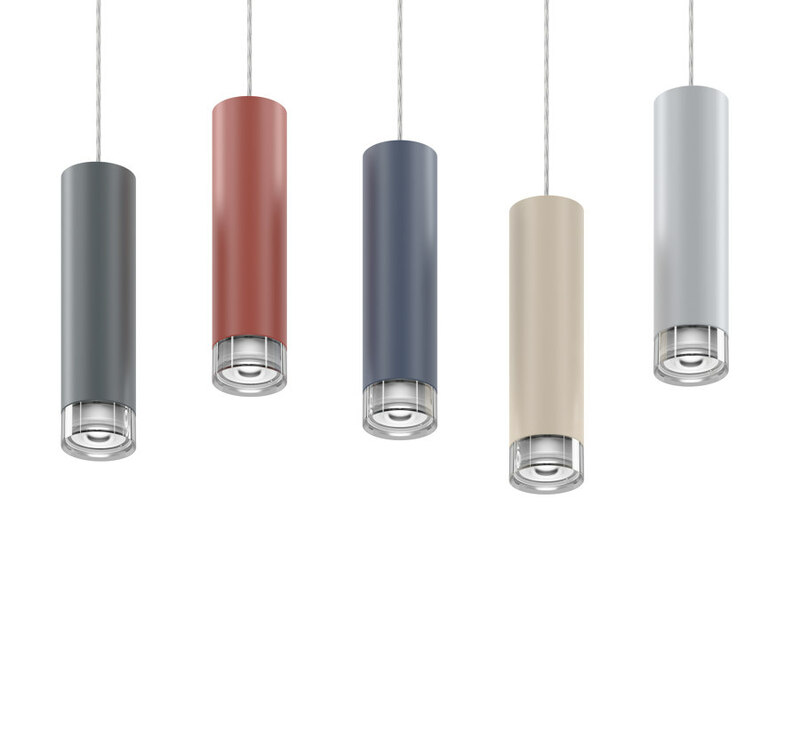 For this purpose ERCO developed a miniature version of a lamp from its existing range, adapting the colour of the housing to the silver anodised fittings of the glass slats. Customer specifications can often involve extremely complex challenges. However, it is precisely in the solution of such tasks that the special attraction lies. For Art Basel, ERCO was commissioned to design a modular lighting system that offers lighting for individual needs, is easy to use and at the same time technically robust. 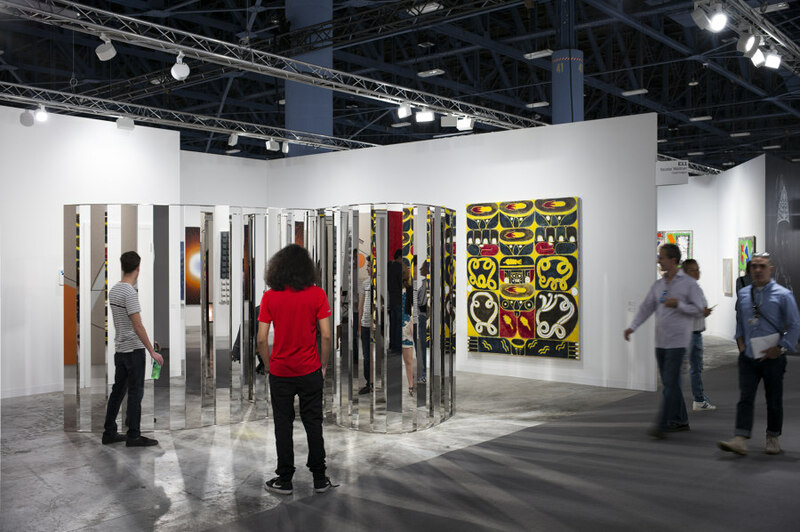 In addition to the stand space, the participating galleries also rent the modular partition wall system, including the lighting. 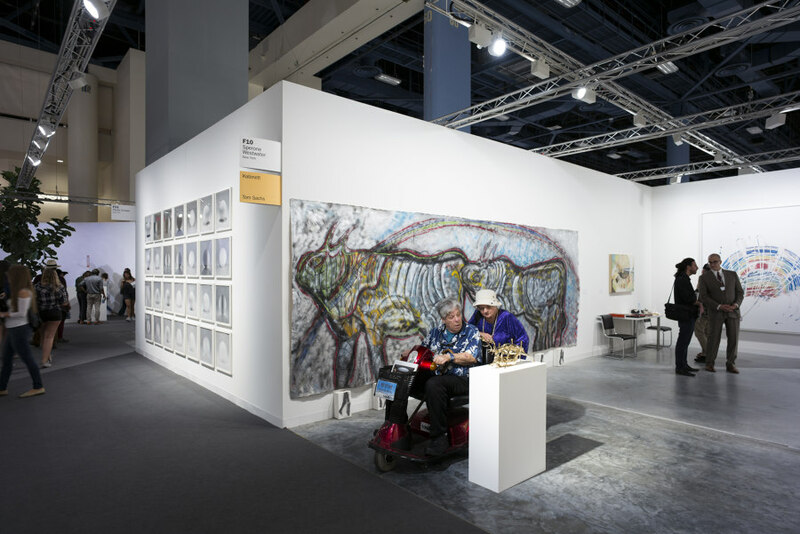 Therefore, the latter must be individually adaptable to variously sized exhibits from different artistic genres. Uniform illumination of the wall areas and precisely focused lighting for free-standing exhibits were required and achieved with Pantrac wallwashers and Parscan spotlights, both ERCO products. In addition, interchangeable lenses allowed light distribution of varying widths, depending on the size of the object. The biggest difficulty with this project, however, was to make the system adaptable for two locations – Miami and Hong Kong. A standard solution would not have been able to offer this, as the two locations have different voltages as well as different technical standards and safety regulations. As ERCO operates in over 55 countries, the company applied their global expertise to make the two standard luminaires usable across continents by simply making minor modifications. They have since been used successfully at both exhibition locations. 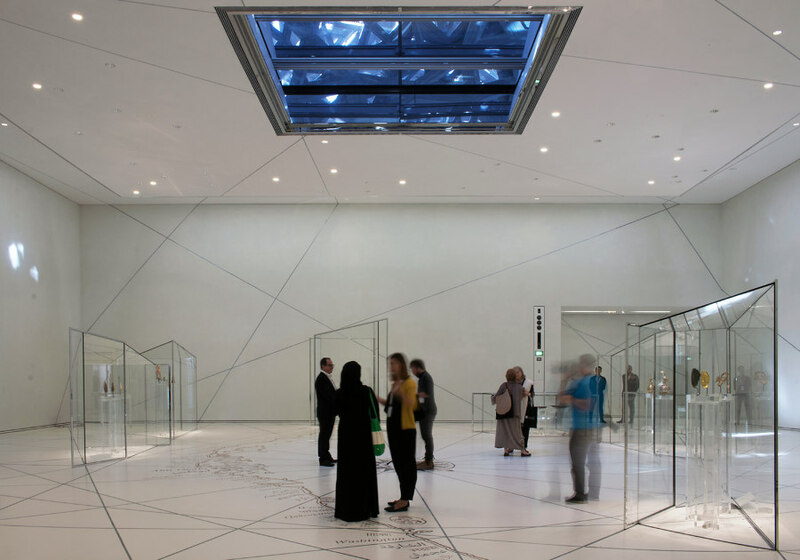 ERCO also used its many years of experience in museum lighting for the Louvre Abu Dhabi, which opened at the end of 2017. Jean Nouvel designed 55 white cubes arranged around and under a circular steel dome, staging a play of light and shadow. The lighting requirements were complex. Flexibility was required, in that the light had to be adaptable to changing exhibitions while the 23 rooms comprising the permanent exhibition, as well as the entrance hall and the corridors, have different dimensions and different interiors. Black Parscan LED spotlights were installed on extended brackets in the rooms with dark steel slats. This configuration allows the spots to extend to the lower end of the slats, enabling them to be flexibly aligned without illuminating them. ERCO also developed a special solution for the corridors between the galleries. 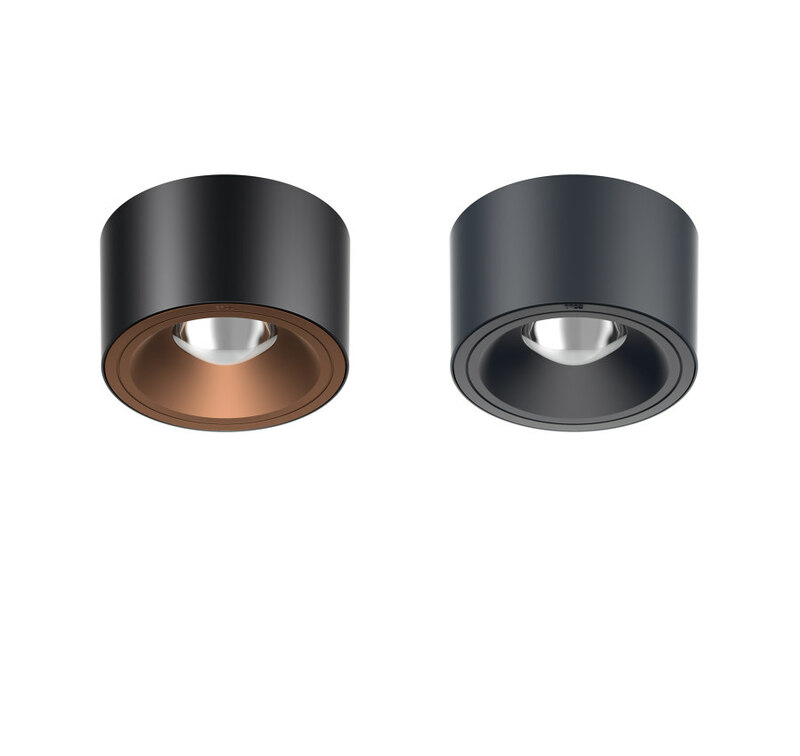 A model with a low installation height was designed on the basis of the Polux spotlight, which emphasises the special spatial effect in the low corridors. 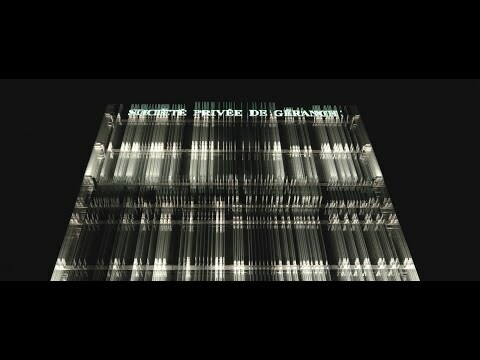 The design and application of light play a major role in architecture. The advantage of the ERCO individual system is that it enables planners to execute highly specific wishes and ideas and to showcase buildings and rooms in the perfect light.